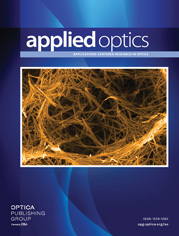 The authors are with University of Southern California, Department of Electrical Engineering, Signal & Image Processing Institute, Los Angeles, California 90089-0272. To fully use the advantages of optics in optical neural networks, an incoherent optical neuron (ION) model is proposed. The main purpose of this model is to provide for the requisite subtraction of signals without the phase sensitivity of a fully coherent system and without the cumbrance of photon–electron conversion and electronic subtraction. The ION model can subtract inhibitory from excitatory neuron inputs by using two device responses. Functionally it accommodates positive and negative weights, excitatory and inhibitory inputs, non-negative neuron outputs, and can be used in a variety of neural network models. This technique can implement conventional inner-product neuron units and Grossberg’s mass action law neuron units. Some implementation considerations, such as the effect of nonlinearities on device response, noise, and fan-in/fan-out capability, are discussed and simulated by computer. An experimental demonstration of optical excitation and inhibition on a 2-D array of neuron units using a single Hughes liquid crystal light valve is also reported.